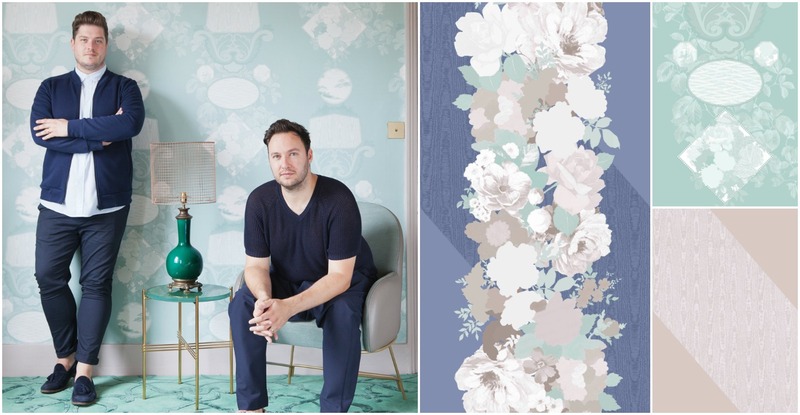 In our 70 years' of creating inside the world of home decor, Graham & Brown have worked alongside numerous interior design leaders to continue moving forward with trends. The Perry Rise collection came to life within the process of Jordan Cluroe and Russell Whitehead's renovation of their Victorian home. Using over 100 year's of archive prints, the inspiration for this collection definitely reaches both the past and the future. The 4 designs come in 4 colourways; Jade Green, Blush, Grey and Blue. The designs also feature a marquetry inspired geometric feel, combining bold diagonal stripes with rose garland florals. One of the major influences of the collection came from going beyond the four wall concept. 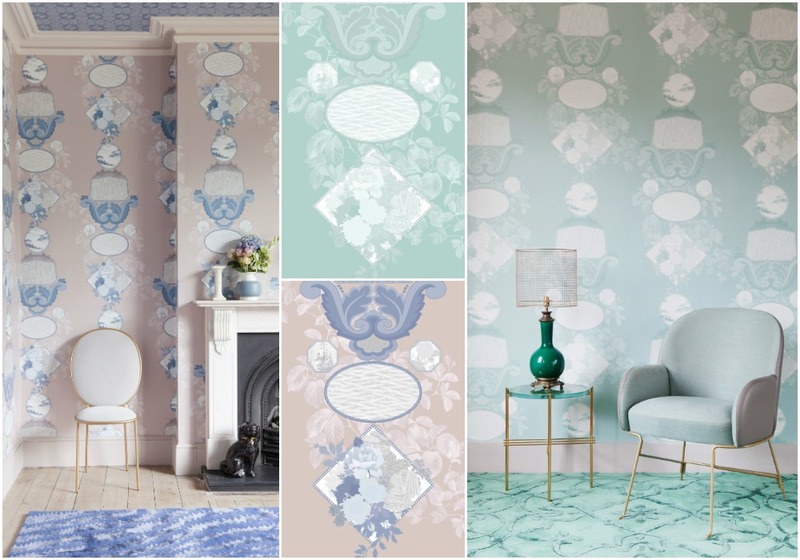 Not only wallpapering your walls but how to use wallpaper on your ceilings to invigorate that classic, Victorian style this collection emulates. Created using inovative technology to digitally print the design, making it possible to add detail and depth to the otherwise clashing styles. The collection is both affordable and unique, allowing you to make home design experiments that will pay off in numurous ways. For this first design, 2LG took on a contemporary reinterpretation of the classic damask style. Combining elements from 8 designs within G&B's archives as well as personal reference from the designers. Collecting eclectic notes from different periods in history with a digital twist to bring it back to 2016, this wallpaper design features fine detail and a large pattern repeat. Throughout Graham & Brown's history, bold floral designs have always been important. Joy, pulls roses from the archive and brings together a multitude of techniques from various artists. This, combined with the broad diagonal moiré silk texture to give a modern impact on your interiors. The design can be hung either with an organically offset non pattern repeat or by using the pattern match to create large diagonal stripes around the room. 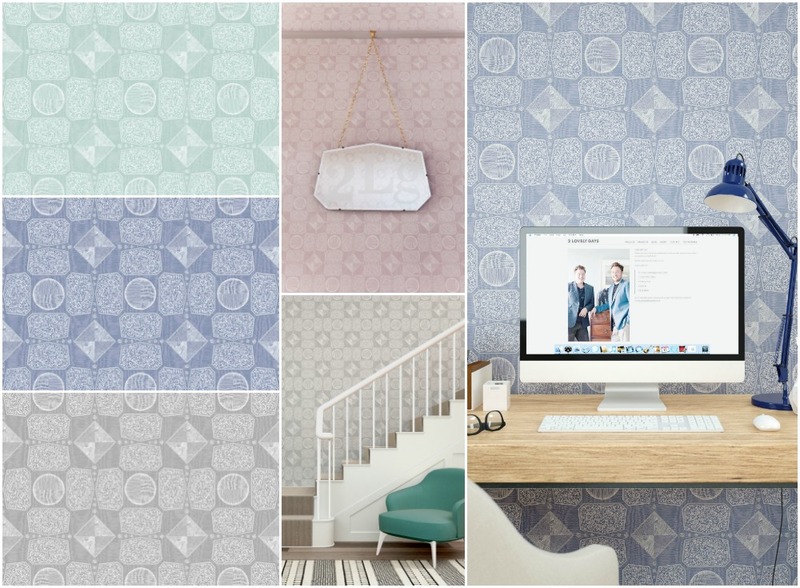 This wallpaper is a digital take on a classic geometric. Inspired by an archive Superfresco design as well as elements from a vintage etched mirror from Jordan & Russell's first home, Wonder works well as a coordinating print or stands strong on it's own. 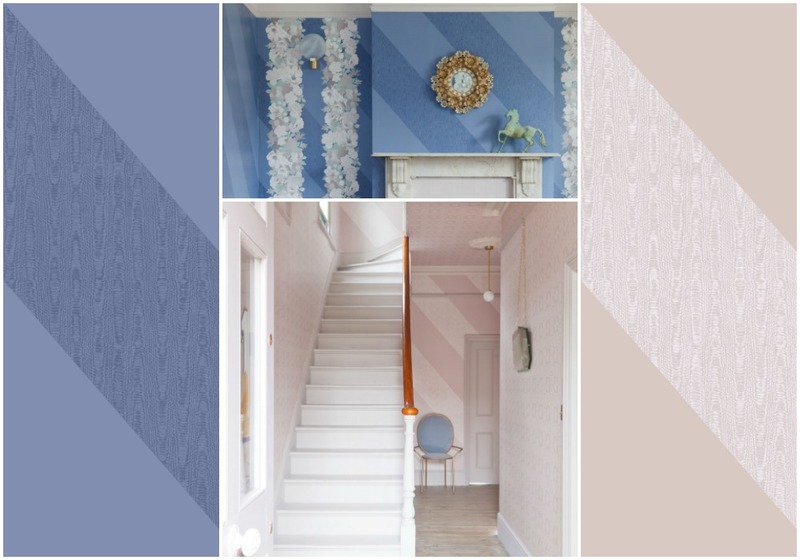 Stripes are no stranger to the home interiors world, but Rebecca takes on this classicly popular style and provides it with a new twist. The diagonal stripe uses a moiré silk texture to add elegance to the design. 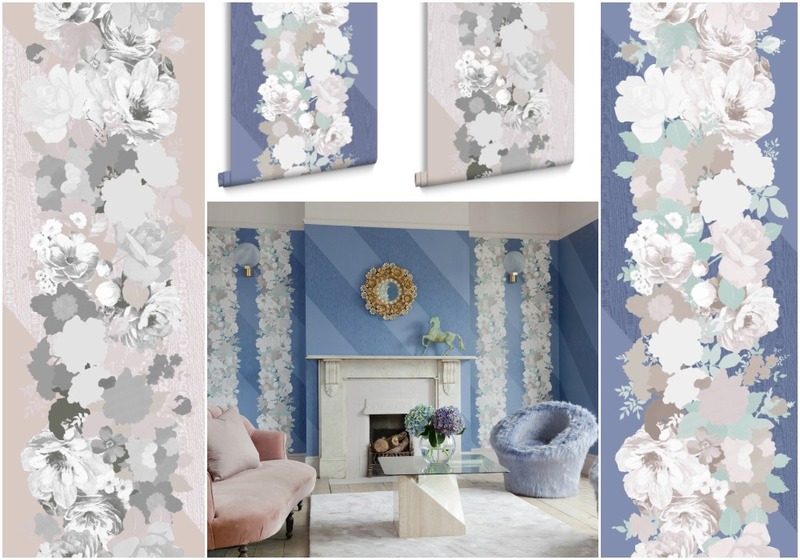 Rebecca works both as a standalone statement stripe and a complementing pattern to the Joy design providing a muted yet bold backdrop to its statement florals.